Organizations at Paly such as Science Olympiad (SciOly) and Robotics have been increasing gender diversity by encouraging women to apply, and having women in leadership roles. In the past couple of decades, science, technology, engineering and mathematics (STEM), have evolved into more gender neutral fields, which rely more heavily on social skills than commonly believed. The myth of men being better suited for STEM has led a Google engineer to send a memo about women not being biologically-suited to work in tech. The engineer was fired shortly after releasing the memo on Aug. 7. 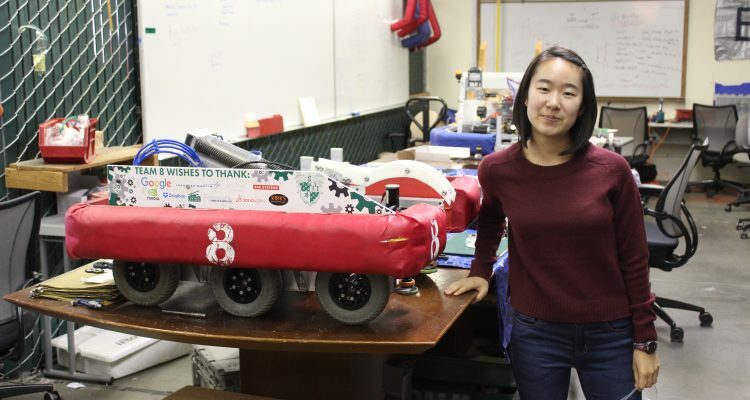 Senior Annalee Soohoo has been an active member of the Paly Robotics Team since her freshman year, and said she hopes to pursue computer science in college. According to a survey conducted by the College Board on college graduates in 2001, 13 percent of men graduated with a degree in STEM, while only 6 percent of women graduated with a degree in STEM. “I think the [gender] gap [initially] increased because women had not been exposed to [personal computers] through video games like many men had,” Soohoo said. While Soohoo has observed a disparity between the amount of males and females on the Paly robotics team, she believes that the team encourages participation regardless of gender. “On the Robotics team, there are more guys [than] girls, but I feel like there is a lot of support for anyone [in Robotics] no matter what you are interested in,” Soohoo said. Every year, more opportunities and programs are opening up for women interested in STEM, such as the National Girls Collaborative Project, the American Association of University Women and the Association for Women in Science. Over the summer before her junior year, Soohoo attended a seven-week program hosted by Microsoft called Girls Who Code. While Soohoo is a big fan of Paly Robotics’ inclusive environment, Neelima Valluru, a senior at Henry M. Gunn High School has a different opinion about Gunn’s Robotics Team (GRT). Valluru has been on GRT since her sophomore year. 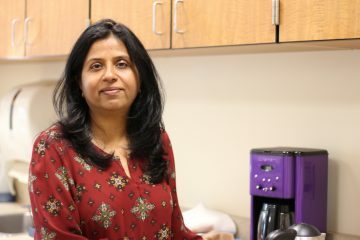 There are many factors that discourage women from participating in STEM jobs, such as a lack of female representation in STEM leaders, according to Valluru. Gul Eris, who teaches AP Physics and Physics Honors at Paly, thinks the lack of women in STEM has nothing to do with biology. Eris also believes that words like “diversity hire” have negative stigma and make it so female workers have to prove themselves more often. She thinks that the amount of women in STEM classes has improved at Paly and can be seen in her class enrollment. Paly junior Annie Tsui, who hopes to major in STEM in college—specifically biochemistry and computational biology—believes stereotypes play a large role in deterring women from STEM. According to a PEW Research Center article written by Columbia journalism graduate Drew Desilver, not only is STEM attempting to make room for more women, but social skills are also starting to play a bigger role in STEM than before. Empathy is one of the big social skills appealing to people in STEM. Vallaru thinks that awkwardness is an important social skill to master. According to articles like “Different World Views: STEM Students and Student Affairs” by Mary Lou Santovec a writer for the Women in Education Newsletter, awkwardness has been largely associated with many parts of STEM fields, yet many people involved in STEM are pushing to change that stereotype. While STEM is making improvements each year, in order to further dissolve the gender gap, both Tsui and Valluru highly encourage girls explore the field of STEM to decrease the gap. “I definitely encourage more girls to be interested in STEM and to do what they want and not be shot down by some stereotype,” Tsui said. Valluru especially emphasizes that girls are just as capable as men in STEM, and should not be afraid of the stereotypes they will face in the fields.